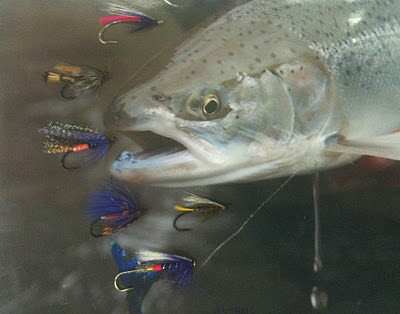 The Fly Fishing Shop: The Time of the year, Dictates the color of the season. Getting ready for cooler weather. The Time of the year, Dictates the color of the season. 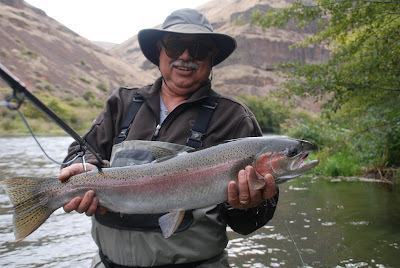 Well on the Deschutes the Steelhead season pushes on just like the fish themselves they continulely push up river. Now as the season change for us. The cooler mornings and changing leaves. The river sees changes as well. The river sees the tempertute decrease and the fluctuation of water flow. 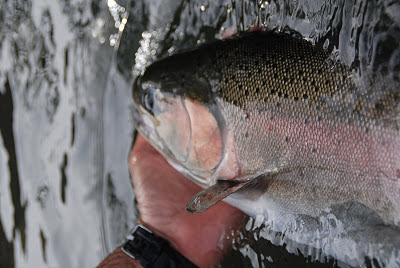 Also the river takes part as the breeding grounds for Salmon. The Chinook begin to take part in one of the most hopeless romantic life cyles that can be witnessed anywhere in the world. This prosseces of nature helps to provide the fertile nutriance for the rivers future. All residence of the stream notice the change as well as small brightly colored objects and hunks of dying Salmon flesh begin drifting down the river. Now this is the time to use flies that can represent these items even. 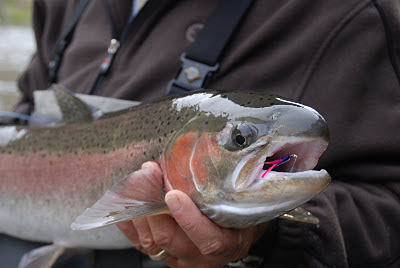 Even guys fishing swung fly can take the advantage of the added color to the river. Here are some flies that I would have in my box this time of year are. And most of all get out there and keep that fly in the water! Can't catch them from the coutch.